In the midst of the 1918 Influenza epidemic and World War One, another big marine disaster occurred in the cold waters of the Lynn Canal. Capt. Charles John Bloomquist was a passenger on the night of the grounding of the Sophia. The story of the Princess Sophia loss on October 24, 1918 in a blinding snowstorm, has been well documented, with a number of White Pass employees onboard heading back to Victoria for the end of the season. One report in the Daily Colonist on November 3, 1918, stated that only 2 of the victims drowned, the rest suffocated in the crude oil spilling from the ship. I was curious to know a bit more about the Swedish Captain Bloomquist. He was born in 1867 in Stockholm, Sweden and came to Canada in 1883. He lived with his wife, Catherine at Shawnigan Lake, a small farming community 28 miles north of Victoria. He was listed there in the 1909 directory of Vancouver Island, also he kept a room at the Dominion Hotel in Victoria. He left behind 4 sisters but no children. He had worked for 20 years on the boats in the Yukon. 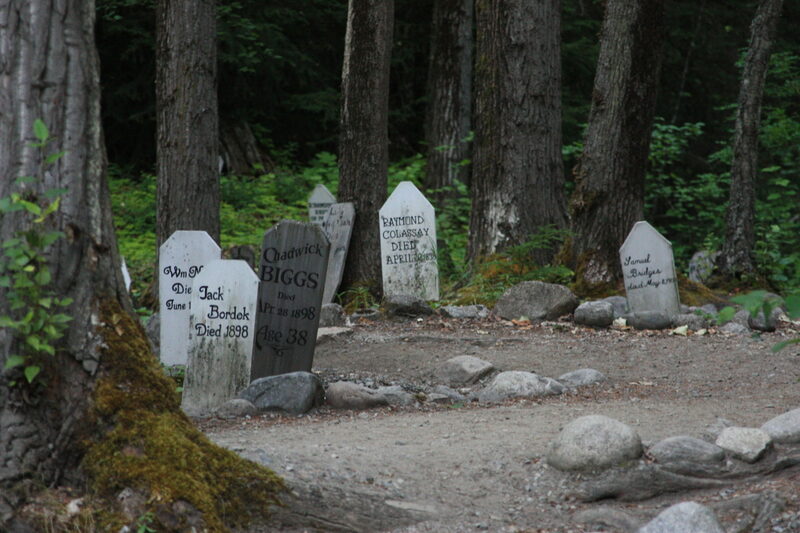 He was the master of the White Pass Steamboat Dawson. Before that he had worked for the Canadian Government on the Quadra and the Sir James Douglas. The Princess Alice brought many of the bodies back to Victoria on the 12 of November 1918. On November 15 he was buried in Victoria with the Victoria Columbia Masonic Lodge as pallbearers. Rev. F.A.B. Chadwick gave the service. Catherine is buried with him at the Ross Bay Cemetery, she died November 27, 1969 at the age of 92! 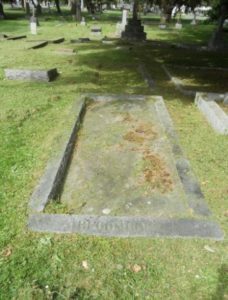 Here is a picture that Anne Scott made of the grave in Victoria! Posted on Find A Grave for this story – Thank you so Much Anne!!! President Warren Harding visited Skagway on July 11, 1923. Leaving here, he re-boarded the USS Henderson on his trip south to San Francisco where he died. Another ship in the presidential fleet was the USS Seattle. Both ships were involved in accidents in the days that followed: the USS Henderson was rammed by the USS Zeiler in Puget Sound and the USS Seattle ran aground in the Sound. Barely two months later, one of the biggest disasters in US Naval History occurred which I will summarize briefly here. On September 2, 1923 there was a massive earthquake in Japan, the resulting tsunami and strong currents reached the California coast just as a heavy fog further complicated navigation. On September 8, in the dark of night, the passenger steamer Cuba went aground on San Miguel Island. My husband and I lived on San Miguel once, 30 years ago, and the remnants of that shipwreck were still visible on the beach at certain times when we lived there. E. Hazard Wells took this photo of a ship sinking in Lynn Canal on August 6, 1897. He was aboard the Rosalie when he took this photo. But which ship was it? Some of these I have never heard of, let alone the names of the people that went down with them.